Thick-walled tubes are dramatic to look at and offer resonance that lasts. Materials: Silver aluminum ring and windcatcher, 6 silver brushed aluminum tubes. Our Windsinger Chimes series combines computer-age technology with the very finest artistry and craftsmanship, allowing you to experience a whole new dimension of beautiful sound. 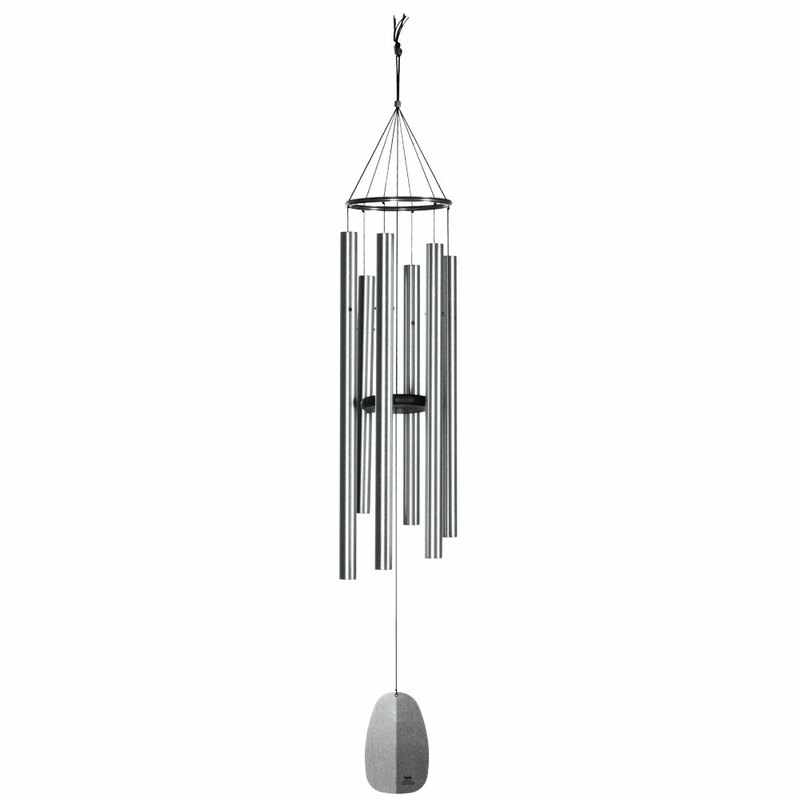 Made from super-think-walled aluminum tubes which are specially-suspended, these wind chimes resonate much longer than other windchimes, bathing you in waves of enduring harmony every time the wind blows. The Chimes of Orpheus pay tribute to the son of the muse Calliope. In Greek mythology, Orpheus was known as a gifted poet and singer who had the ability to charm all living creatures with his song. Woodstock Windsinger Chimes are musically-tuned using an ancient system known as "just intonation." This means the frequencies at which the different tubes vibrate are related to one another by simple whole-number ratios. Tones that are related in this way produce the purest, most beautiful musical intervals. 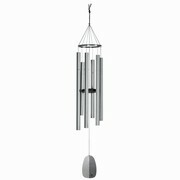 This chime is tuned to an ancient Chinese pentatonic scale. Hang the Chimes of Orpheus in your garden and let it charm all who visit your home.